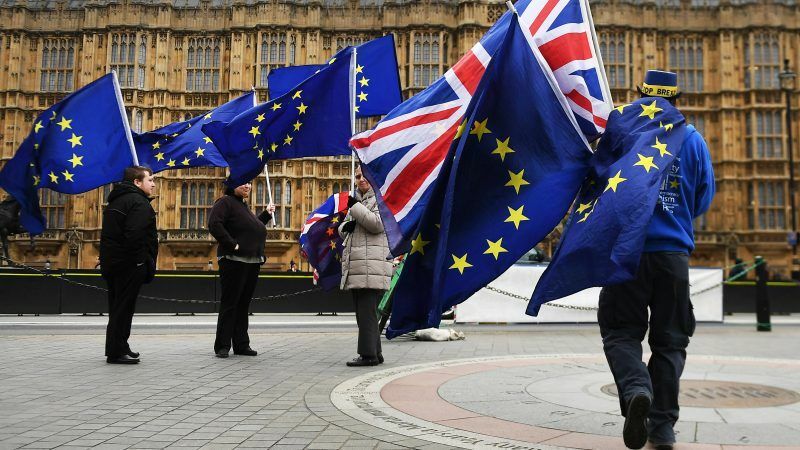 Divisions across the UK’s political institutions are turning Brexit into a major domestic constitutional crisis, writes Denis MacShane. Denis MacShane is the UK’s former minister for Europe. As if dealing with bad economic data and lectures from foreign firms or the Japanese government about the negative impact of Brexit wasn’t bad enough, UK Prime Minister Theresa May now has a major constitutional crisis on her hands. Britain famously doesn’t have a written constitution but certain key elements are taken as given. These include government based on controlling both houses of parliament; brutally frank discussions in cabinet but on-message unity in public; an opposition that opposes in the name of those who did not vote for the government or its policy; and, more recently, a devolved settlement that allows a great degree of autonomous government in Scotland, Wales and Northern Ireland. Brexit has dissolved this constitutional settlement and provoked a parallel crisis alongside the unending row on how Britain interprets the vote to “leave” the EU. This is basically a conflict between Trotsky-style Brexit revolutionaries who want a full amputation in the hope that after a total rupture a brand new Britain will emerge and Brexit conservatives who are now nervous that lasting economic damage may be done and when – in the future – voters see Britain becoming poorer and meaner they will take revenge on the politicians who brought this about. Economic growth has all but collapsed – down to just 0.1% in the first quarter of 2018 with worsening trade deficit figures every month. Job figures just out show high nominal employment but very low pay with the UK government having to pay £30 billion in subsidies to low pay employers. Inflation is at 2.9% so real wage increases taking inflation into account are flat-lining. Every day seems to bring news of another business sector publicly worried about leaving the Single Market and Customs Union or losing the ability to hire qualified European workers. Now on top of this daily drip of bad business news on the Brexit front comes the worst constitutional crisis in a century. Mrs May has lost control of the second chamber in the UK parliament, the House of Lords. They have voted on 14 key laws to say that the government should stay in the Customs Union, agree a negotiating mandate with the Commons, and now that the UK should consider staying in the EEA – the European Economic Area, which allows Norway to trade in the single market without being an EU member. The cabinet is sundered with cabinet ministers openly rubbishing the prime minister and each other. Foreign Secretary Boris Johnson made weekend headlines by calling Mrs May’s proposals to solve the Irish border imbroglio “crazy” and they were also attacked on the BBC by another cabinet member, the ideological intellectual Michael Gove. In turn, the longest-serving cabinet member, Jeremy Hunt, used the BBC to tell Johnson to shut up and keep cabinet divisions private within the cabinet room. Fat chance. Now the Scottish parliament has voted to reject Mrs May’s proposed legislation transferring EU laws and competences back to Britain. The Scots accuse Mrs May and Whitehall centralisers of using the legislation transferring back EU laws and norm as a power grab to reduce the rights of the elected Scottish parliamentarians. The House of Commons can exert its right to over-rule the Lords’ proposals to keep the UK in Customs Union or the EEA and tell the members of the Scottish Parliament to drop dead. But Mrs May doesn’t know if she has a majority in the Commons as it only takes 10-12 Tory MPs opposed to Brexit to refuse to back her and she has no majority. Finally, the Labour Party has been sitting on the Brexit fence for nearly two years. Party leader Jeremy Corbyn refuses to speak for the 48% who did not vote for Brexit – now in the majority according to most opinion polls. The UK’s Trade Union Congress insists on staying in the Single Market, while 71% of Labour voters oppose Brexit and 1 million students in Britain’s National Union of Students will launch a summer campaign against Brexit. But Corbyn refuses to speak for them. There are three reasons. First, he and his close leadership associates are all children of 1970s socialist ideology who were told the EU was a capitalist, free-market plot set up to stop left policies being adopted by governments. Second, he hopes for a collapse of the Tories over Brexit with an election taking place well before its due date of 2022 which he can win. Third, in Labour districts away from metropolitan areas anti-immigrant feelings are strong and Corbyn’s think voters who endorsed Brexit in 2016 will desert Labour if he now opposes Brexit – even though UKIP has been wiped out as a political force and the anti-Brexit Liberal Democrats and Green gained the most seats in local government elections early in May. Brussels, Dublin and the EU27 are helpless as Britain writhes in this political-constitutional agony. The hope of the British establishment is that these upheavals will exhaust themselves and allow a Withdrawal Treaty and political agreement, probably based on staying in the Customs Union to assuage the Irish, to be in place by end-September. But the political convulsions are such that no one can guarantee such a sane, rational ending. Europe, including UK, is in danger, thanks to Trump’s politics. How do these Brexcited see their future the day they are isolated from the European continent ? I don’t get it either, Eulover. People are living in cloudcuckooland, apparently. What I find amazing is that the LibDems are not profiting from this at all. They are the ones that have consistently been pro-EU. When Cameron declared in 2013 that the British people must “have their say” on UK membership of the EU he did so in the knowledge that politicians from the two major parties were split on the issue, UKIP were tearing into Tory (and as later became apparent Labour) support and finally in the firm belief that the public would follow his lead. As such Parliament passed the necessary legislation to hold the referendum. During the campaign it was explicated stated innumerable times that a vote to leave the EU meant leaving the Single Market and the Customs Union. Yet here we are nearly two years after the largest democratic exercise in UK history (33.5m voters not a thousand or so in an opinion poll) and politicians having passed the question directly to the electorate are doing all in their power to frustrate the clearly expressed demand of the public. That is surely the constitutional crisis that the UK faces.